Just a short tasting note today. We had this beauty to finish up our Thanksgiving Dinner last Thursday. You can read more about the winery, of which I am very fond, here, and I have waxed on lyrically about the Würzgarten before here. This sounds wonderful. 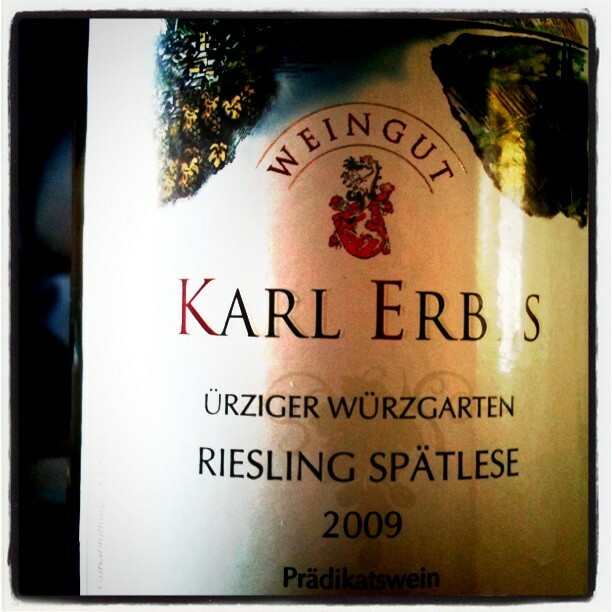 I love Rieslings on Thanksgiving, it really is the perfect way to end the meal. It was wonderful, also because it brought back memories of times spent with the wine maker. Good memories. How long will you hold onto a wine like this?